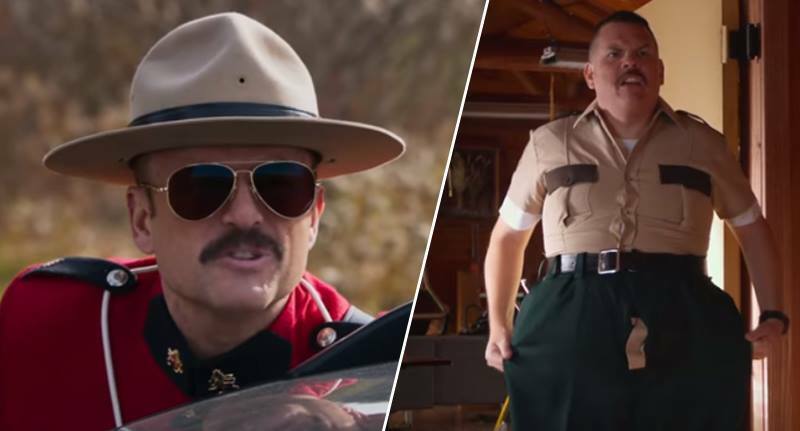 Back in 2015, the guys and gals behind Super Troopers famously crowdfunded a sequel in less than a day. Now, we have a first look at the upcoming comedy and it certainly seems to deliver. Though only short, the trailer, aptly titled Shave The Date, shows Farva, Thorny, Mac, and Foster debating whether or not to shave Rabbit’s balls which are doused in shaving foam and a cherry, of course. Yeah, that’s right – they’re back and as hilarious as ever. 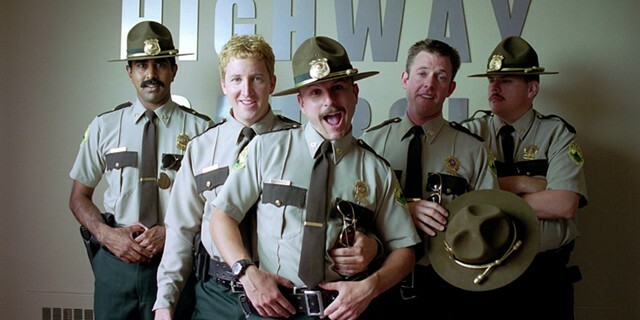 The cult classic original, which came out 16 years ago, focussed on a team of tediously bored highway patrol officers in Vermont. In the sequel things seem to be getting a little more heated after a dispute between the U.S. and Canada. Hopefully in the near future a full length trailer will drop but until then this is all we’ve got to gaze at. The film is hitting US cinemas on 4/20 (April 20) 2018, while UK viewers will have to wait until June.